This page is devoted to postcards and photographs of the three Mexican Meyer-built Papenburg sisters, delivered to Transbordadores for Gulf of Mexico services. 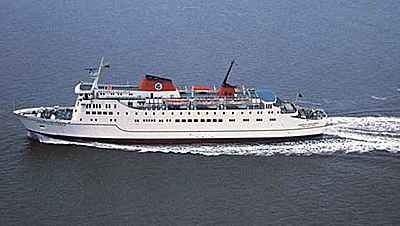 They each carried 696 passengers (compared to 1200 on Viking Line), with 182 berths (222-410 on Viking Line). 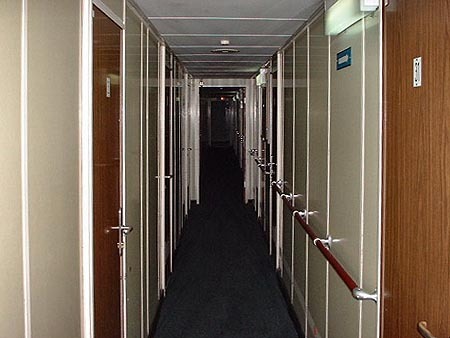 Unlike their Viking Line sisters, all had stabilizers from new. 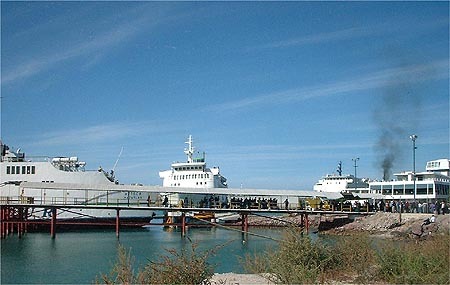 In 1989, ownership passed to SEMATUR. 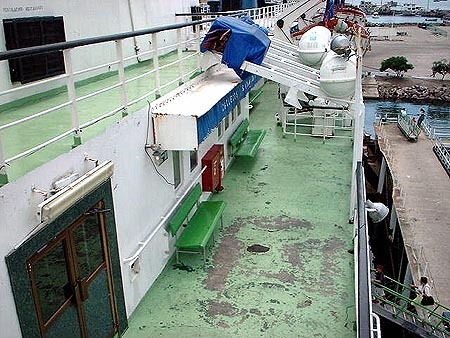 SEMATUR routes were drastically curtailed in 2001. 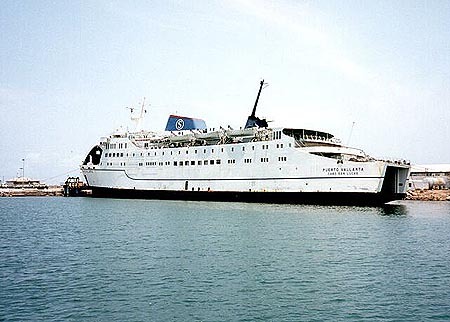 Azteca was sold to the United Arab Emirates in April 2004, and was renamed Ajman 1. She was later resold for scrapping. 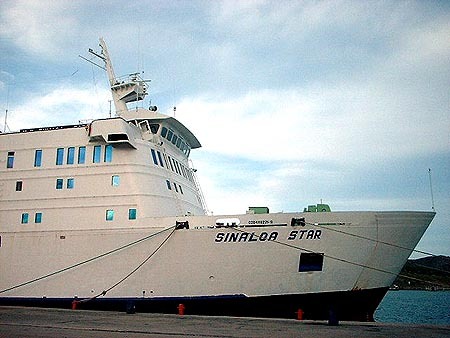 Coromuel was sold to Baja Ferries in 2004 and was renamed Sinaloa Star. 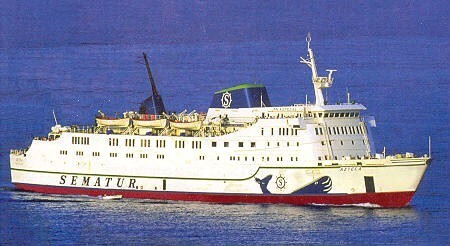 Only Puerto Vallarta remained in the Sematur fleet in 2005. Two of the sisters plus Loreto at La Paz. 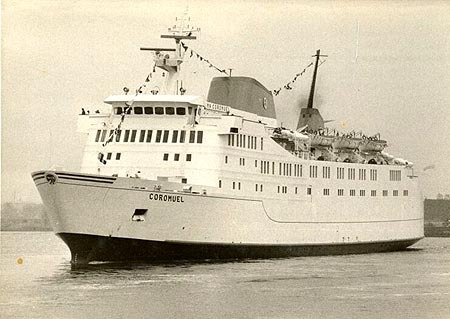 Coromuel was built in 1973 by Jos L Meyer Papenburg, Ems. 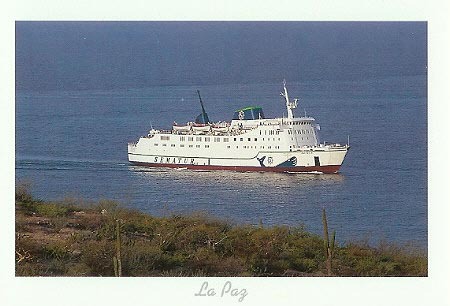 She was owned by Caminos y Puentes Federales de Ingresos y Servicios Conexos, (Transbordadores), and entered service between La Paz to Mazatlan. 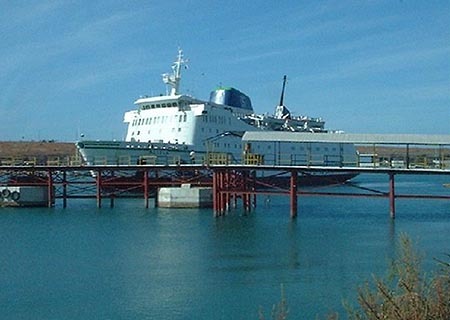 In 1989 she was registered to Grupo Sematur de California S.A, Mexico. 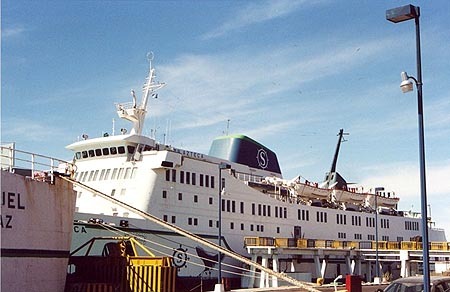 Coromuel was sold to Baja Ferries in 2004 and was renamed Sinaloa Star. Builders' photograph of Puerto Vallarta. 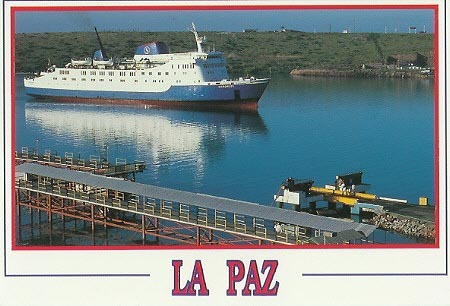 Cortez postcard serial LP-10 of Coromuel at La Paz. 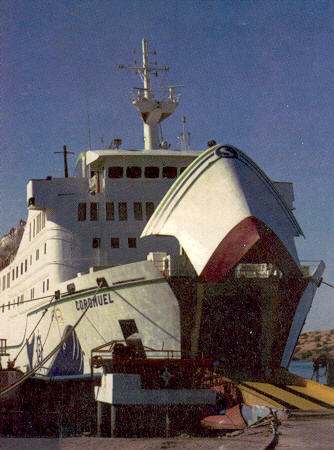 Enlarged image from Cortez postcard serial LP-10 of Coromuel at La Paz. Vistas Mazatlan postcard serial 10400 of Coromuel. 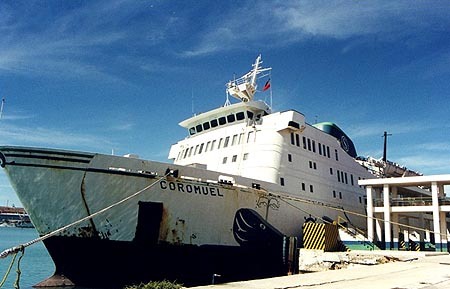 Picture of Coromuel taken from a SEMATUR brochure. 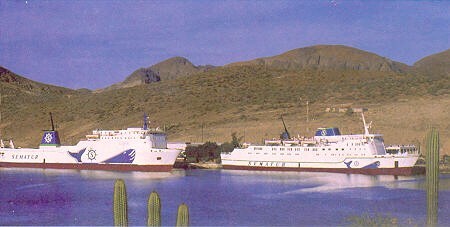 Picture of Coromuel and Loreto taken from a SEMATUR brochure. 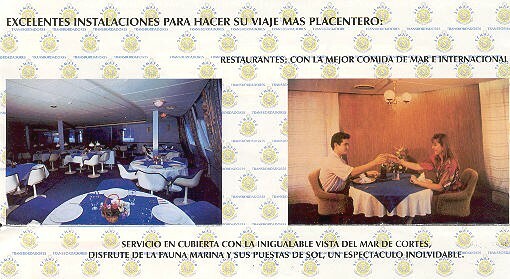 Interior images from a SEMATUR brochure. 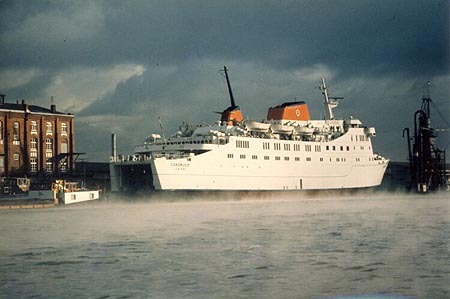 Puerto Vallarta was built in 1974 by Jos L Meyer Papenburg, Ems. 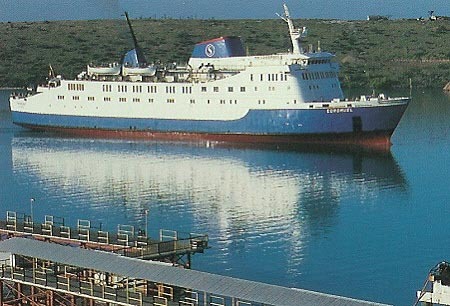 She was owned by Caminos y Puentes Federales de Ingresos y Servicios Conexos, (Transbordadores), and entered service between La Paz to Mazatlan. 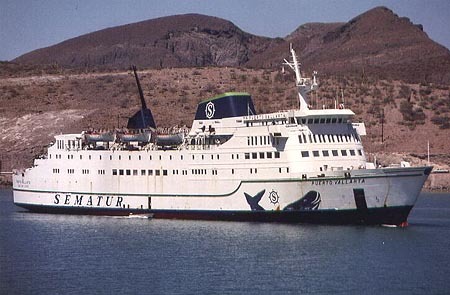 In 1987 she moved to a La Paz-Puerto Vallarta route. 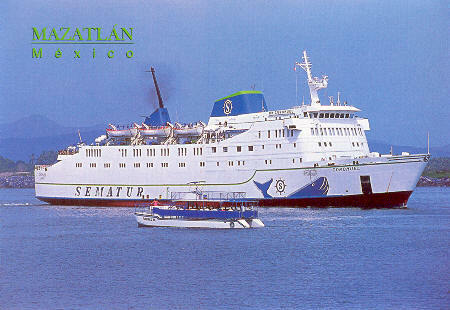 In 1989 Puerto Vallarta was registered to Grupo Sematur de California S.A, Mexico. 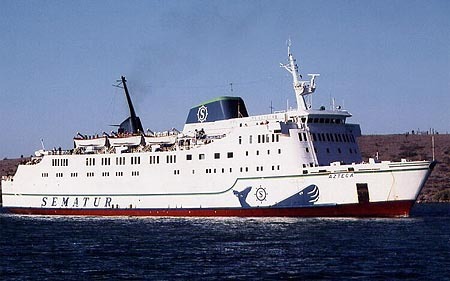 Only Puerto Vallarta remained in the Sematur fleet in 2005. 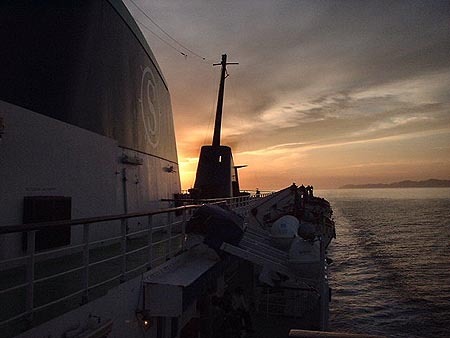 Meyer Werft photograph of Puerto Vallarta in Transbordadores colours. 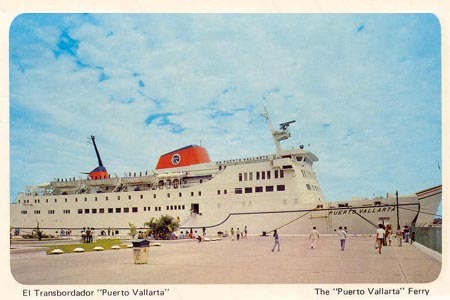 Commercial postcard of Puerto Vallarta in Transbordadores colours. 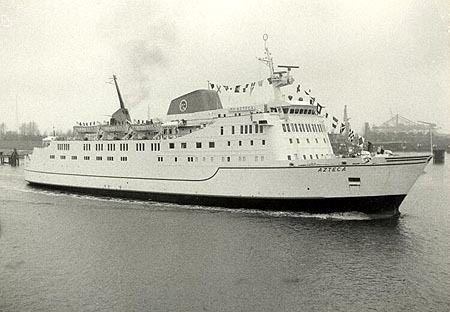 Azteca was built in 1975 by Jos L Meyer Papenburg, Ems. 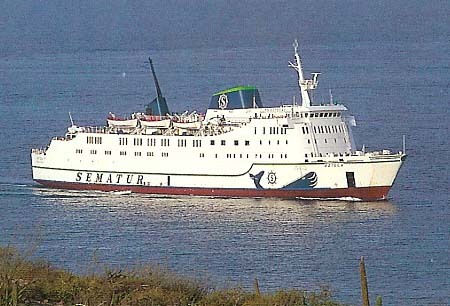 She was owned by Caminos y Puentes Federales de Ingresos y Servicios Conexos, (Transbordadores), and entered service between San Lucas and Puerto Vallarta. 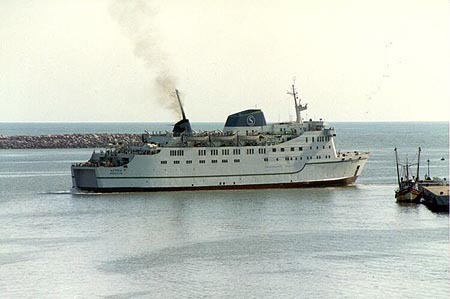 In the early 1980s she also served Santa Rosalia-Guaymas, but reverted to La Paz-Mazatlan in 1984. In 1989 Azteca was registered to Grupo Sematur de California S.A, Mexico. 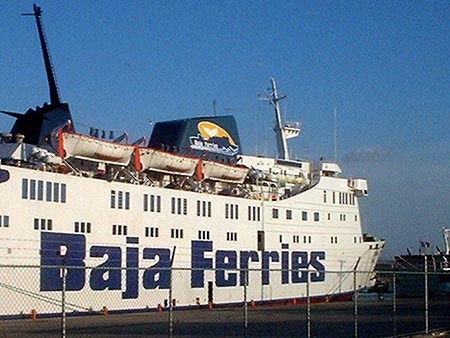 Azteca was sold to the United Arab Emirates in April 2004, and was renamed Ajman 1. She was then resold for breaking up Bangladesh. 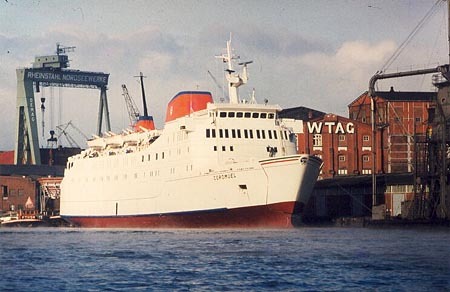 Photograph of Azteca in Transbordadores colours. Mex Sense postcard serial 9927 of Azteca at La Paz. Enlarged image from Mex Sense postcard serial 9927 of Azteca at La Paz.